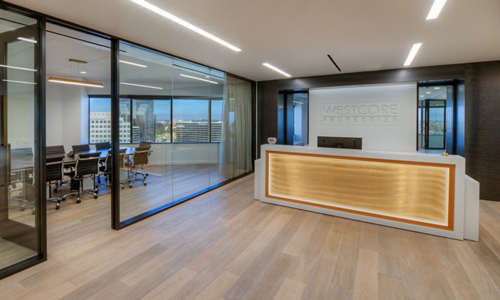 We normally feature tenants on our Spaces We Love blog—but landlords can be tenants too, and in this case, Westcore’s new office at The Plaza in University Towne Centre is too gorgeous not to share! 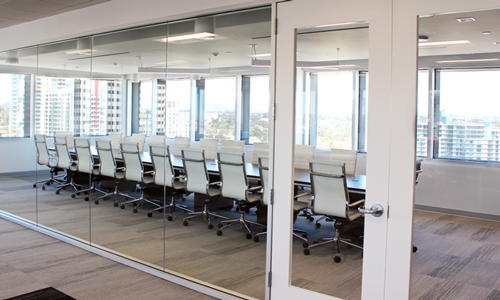 Olive Creative Strategies’ motto is “It’s time to illuminate greatness”–and that is exactly what they did in their new home at 1 Columbia Place in Downtown San Diego! 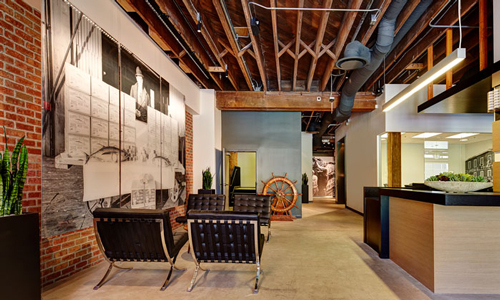 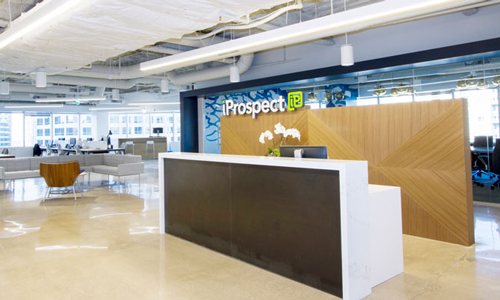 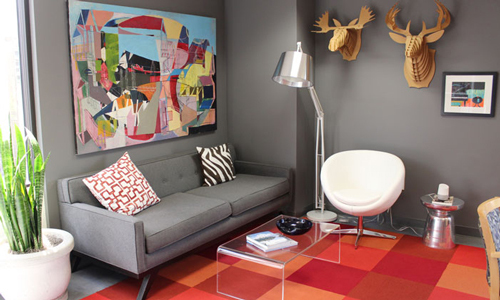 The national boutique public relations and marketing agency, led by visionary leader Jennifer Borba Von Stauffenberg, designed their space to inspire and invigorate both their clients and their team members–and they absolutely nailed it! 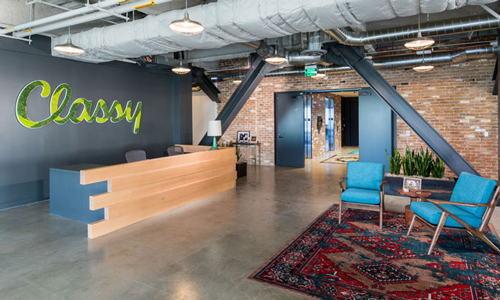 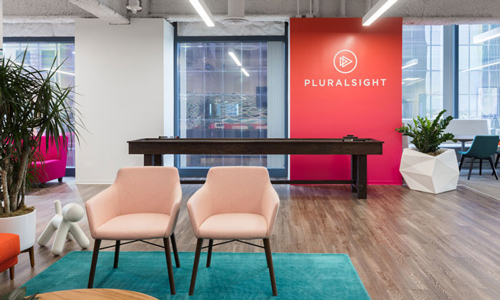 It’s hard to imagine that less than a year ago this 92,000 square foot space was a maze of small offices and dark workrooms, but in no time, this space was beautifully transformed into a vibrant creative office. 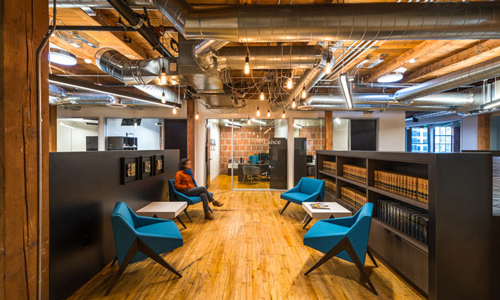 In order to make this happen, all walls, ceilings and utilities were demolished. 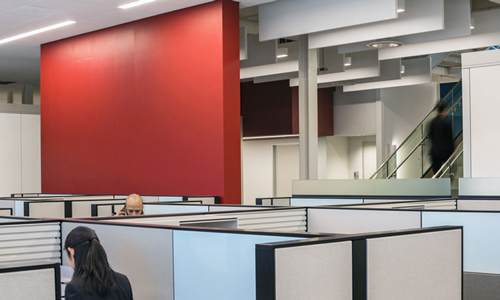 Roesling Nakamura Terada Architects (RNT) designed this modern space with the goal of increasing employee satisfaction and retention of this utility client’s 700 member work force.